Visionary scientist Stephen Hawking has died aged 76. 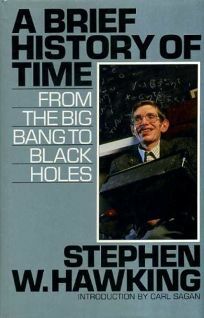 Famed for his study of black holes and relativity, he wrote several best-selling science books including most notably A Brief History of Time, which sold over ten million copies worldwide. At the age of 22 he was given only a few years to live after being diagnosed with a rare form of motor neurone disease, which left him confined to a wheelchair and unable to speak except through a voice synthesiser, but he defied the odds and overcame his disability to become the scientist widely regarded as the greatest since Albert Einstein. He gained immense popularity outside the academic world, including appearances in popular TV shows including The Simpsons and Star Trek: The Next Generation. In 2014, he was portrayed by Oscar-winning actor Eddie Redmayne in The Theory of Everything, a dramatic reconstruction of his early life and struggles. This entry was posted in Current Affairs, History, Science by Steven Lake. Bookmark the permalink.